Drop in and see what our wonderful little school is all about! Tour the classrooms, visit with the staff and school families, learn about our curriculum and enjoy a free hot dog and chips! 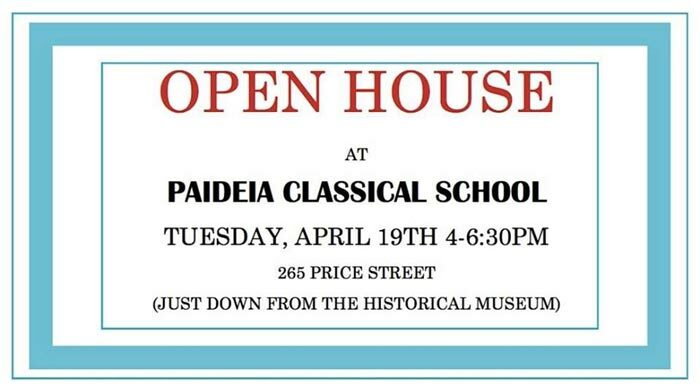 Those attending the open house should be aware that Paideia is not an elementary school recognized by the State as a legal school. Rather, it is a homeschool program with all parents required to sign a statement that they are homeschooling their children. (If you do not sign the homeschool statement, your child is legally truant.) If you choose to send your child there, make sure that you are properly following the homeschool laws or you may be liable for penalties for violating the education law. Mr. Mabeuf, Thank you for your care and concern of our Island Families. 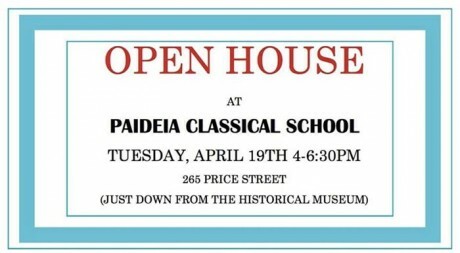 Rest assured all of the appropriate information about Paideia Classical School is provided to those interested in what Paideia Classical School has to offer our community children and families. The discussion on how best to educate any child is not taken lightly but with much care and concern for the child and family needs and all options are openly discussed. And why might you add this post? Are you associated with this school or any other Educational Institution you have “forgotten” to put a disclaimer to by any chance? I’m certainly glad that all your parents are aware that they are homeschooling their children. As to whether the information is provided to those interested in the school, I can only say that when I was looking for schools for my grandchildren on your island, your website certainly did not make this information readily available. As a retired teacher I do, I admit, have a bias toward schools which meet the state standards for elementary schools, including using trained and certified teachers such as I was (and am). If you consider that deserving a disclaimer, there it is.